2. Dip brush into charcoal powder. 3. Brush gently for 1-2 minutes, paying special attention to stained teeth. -Charcoal can stain grout and fabrics. Protect counters, floors and clothing before using. 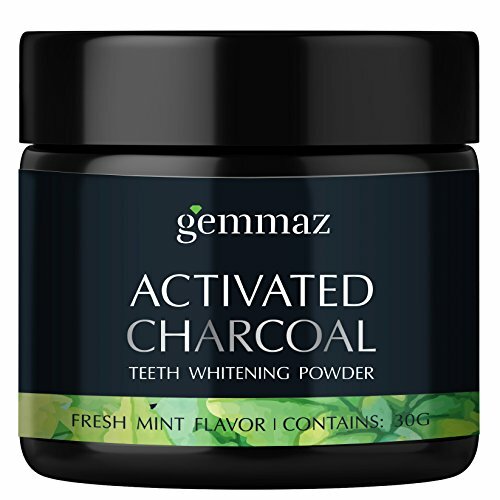 - If you have crowns, caps or porcelain veneers, it's possible that activated charcoal may stain them. - Stop use if irritation Occurs. (1)It should be stored in cool and dryplace. Pleaseavoid direct sunlight and do not expose to any high temperature. (2)Our teeth whitening powder can remove most of teeth stains from coffee, wine, tea and tobacco. but is still an excellent natural daily toothpaste alternative!